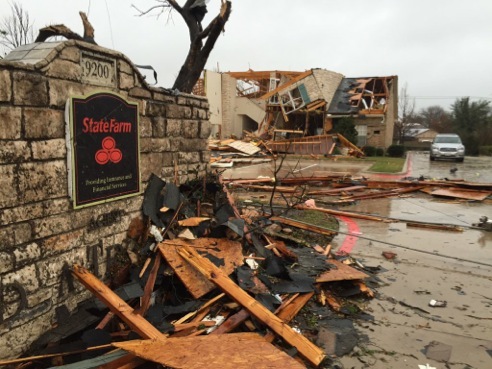 All four of DFW’s major TV news providers commendably threw themselves into non-stop, commercial-free tornado coverage Saturday night, with all prime-time network programming preempted. Fox4 drew the most viewers from 6 to 10 p.m. Here’s the hour by hour total viewers breakdown, based on ratings from Nielsen Media Research. Fox4 also drew the most 25-to-54-year-old viewers (main advertiser target audience for news programming) in each of the one-hour segments. TEGNA8 rebounded to win in both ratings measurements in the regularly scheduled 10 p.m. news bloc. Notably, Fox4 mostly went with a “backup” team of early morning meteorologist Evan Andrews and weekender Ali Turiano, with help down the backstretch from chief weekday weathercaster Dan Henry. NBC5, TEGNA8 and CBS11 all deployed their No. 1 weathermen -- respectively Rick Mitchell, Pete Delkus and Larry Mowry. Joining them in supporting roles were NBC5’s Remeisha Shade, TEGNA8’s Ashton Altieri and CBS11’s Jeff Jamison. From this perspective, based on four hours worth of channel changing and live tweeting, Mowry overall did the best in-studio job of calmly keeping viewers informed. But TEGNA8 initially outdid its rivals in getting reporters to various scenes of devastation for live dispatches and vivid accompanying video and interviews. All in all, though, the four stations should be commended for their efforts on a night after Christmas that wasn’t at all jolly for those North Texans hit hardest. Earlier Saturday, the Heart of Dallas Bowl on ESPN averaged 92,071 total viewers. And in TXA21 yule log news, it burned brightest from 1:45 to 2:45 p.m. on Christmas Day, when 42,494 viewers tuned in during each quarter hour. That was good enough to beat competition from NBC5’s Steve Harvey (28,330 viewers), the 2 to 2:30 p.m. episode of sister station CBS11’s Hot Bench (also 28,330 viewers) and Fox4’s Dr. Oz (21,247 viewers). This was the third year for the TXA21 yule log, which ran from 9 p.m. Christmas Eve until 3 p.m. Christmas Day. KLUV radio (98.7 FM) again supplied the music, with the log perhaps hurt by balmy weather that negated any reason to actually have a fireplace in play.